Scottish indie rockers Idlewild have announced a new album, Interview Music, and shared its first single (and opening track), "Dream Variations." Interview Music is due out April 5 via Empty Words. "Dream Variations" starts like what you might expect from an Idlewild single in 2019, but midway through its sound takes an interesting detour down avenues previously traveled by Tame Impala (and perhaps Air and Pink Floyd), making it a much more interesting single than initially anticipated. Check out "Dream Variations" below, followed by the album's tracklist and cover art (which looks very late 1990s/early 2000s), as well as the band's upcoming tour dates. Under the Radar and Idlewild go way back. We first interviewed them in 2001 for our very first print issue. Back then they were in between their second and third albums, 2000's 100 Broken Windows and 2002's The Remote Part (which is probably their best regarded album and debuted at #3 on the UK album charts). The band went on to release three more albums before taking a break in 2010. 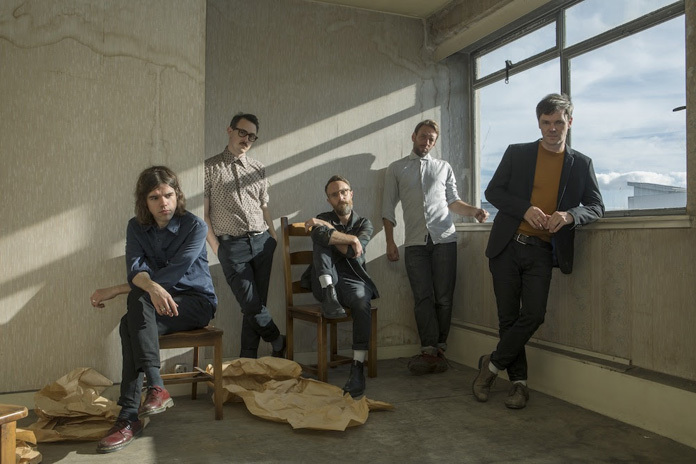 Idlewild returned with some fresh members and 2015's Everything Ever Written. Founding members Roddy Woomble (vocals), Rod Jones (guitar), and Colin Newton (drums) were joined by Luciano Rossi (keyboards) and Andrew Mitchell (bass) in 2014 and that's also the lineup that made Interview Music, which is the follow-up to Everything Ever Written. Work on the album began in Los Angeles after a U.S. tour in 2016, but the album was finished later at Jones' studio in Edinburgh. "A lot of the songs are about dreams and dreaming and the thoughts and ideas that come from this state," says Woomble in a press release. "I live in the Scottish Highlands, and between there and California you've got two locations that can put you in a dream like state - driving down Sunset Boulevard as the sun sets or driving over the remote Ardnamurchan peninsula as the sun rises. The world seems unreal, magical. You're dreaming through a landscape." Dave Eringa, who produced 100 Broken Windows and The Remote Part, later reunited with the band to finish up the album. "Dave produced five songs on the album, but also brought a focus back to the band, and actually made us finish it!" says Woomble in the press release. "He made it sound like us." At the end of the press release, Woomble sums up where the band is at now: "What's really important about Idlewild is that we are basically punk rock kids. No one ever taught us how to play anything. We formed a band and we learned. In our own way. We were inspired by the bands we saw just getting up on stage, making a noise and exchanging ideas, and trying to change your ideas. That's principally what the band still do. I'm not a kid rolling around screaming into a microphone on the floor anymore, but that ideal is still at our core."